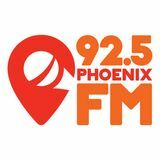 92.5 Phoenix FM is the officially licensed Community Radio for Dublin 15. The station currently broadcasts 50 hours per week, during mornings, evenings and weekends. The output of the station, under the terms of our broadcasting licence, is mainly talk based with an emphasis on local news and community affairs. We are funded by sponsorship from local businesses and our own fundraising in the community. Find more on www.PhoenixFM.ie.